You create new Google+ Page, and ask your Fans, Customers, employees, friends and others to circle it and then your start posting great content on it. But some time later , you don’t get enough time to post regularly and engage with your followers. This is the time when you should add someone as your Page Admin or in Google+ terms ‘Page Manager‘. Adding Page Manager is very simple but before start following the below steps, here are few things that you should know about a Google+ Manager and Google+ Owner. Person who creates the page is known as Owner and have all the control of the page. Owner has the ability add page managers but manager doesn’t have all the rights which an owner has. Here is list summarizing difference between a Google+ Page Manager and Google+ Owner. Based on the above chart, you should be able to decide who do you want to add a your Page Manager. 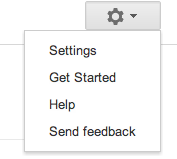 Now follow the below steps to add someone as your Google+ Page Manager. Go to Managers tab on Settings Page. Here you will see the current owner of the page and below that there is an option to add managers by email. Here you need to enter the email id of the person who you want to add as your Page Manager and Click Invite. You will be asked to verify the email address before the final invitation is sent. Click Invite. Once the invitation is sent, you can check the status under Mangers tab. After the person accepts the invitation, his invitation status will be updated here and he will be able to do all the tasks of a Page Manager. For more Tips and How To Tutorials, Please like us on Facebook or Circle us on Google+.